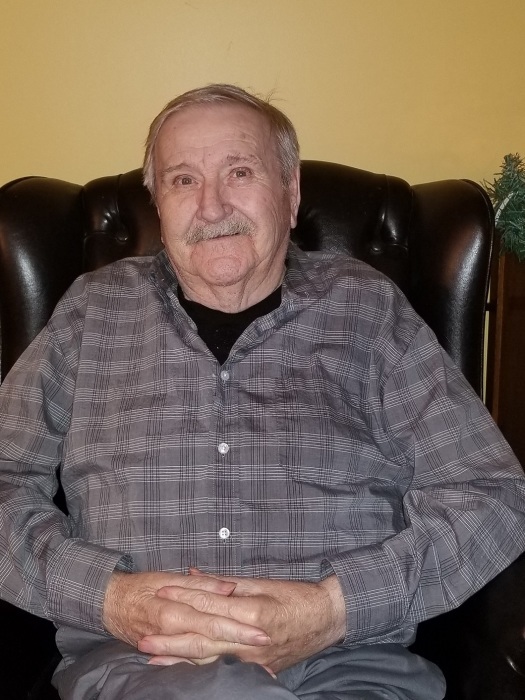 Of Cobden, passed away peacefully in Groves Park Lodge Renfrew, on Tuesday June 5, 2018 in his 78th year Howard Wilson beloved husband of the late Marilyn Wilson nee Hill. Dear father of Joyce Wilson (Daniel Laframboise), Ernie (Lianne) Wilson, Gordon (Sandra) Wilson. Also survived by 6 grandchildren Tyler, Matthew, Kayla, Brittany, Joey, Genny 2 sisters Ann (Jim Holmes), Darlene (Andy Crozier) and 1 brother Jack (Beth) Wilson. Predeceased by a daughter and grandson Shawn. Friends may call at the Fraser-Morris and Heubner Funeral Home Cobden, Sunday June 10, 2018 from 2 – 4pm and 7 - 9pm. Service in Grace United Church Cobden, Monday at 11am. Interment Cobden Union Cemetery. As expressions donations to Grace United Church Memorial Fund or Sunshine Coach would be appreciated.